Come join us at 9:30 a.m., followed by adult, youth, and children’s Christian education. Worship is at the heart of congregational life at Immanuel. We gather at 9:30 to focus on God and honor his greatness and to hear his Word proclaimed. Our worship services reflect the Reformed tradition. We pause near the beginning of every service to remember our need for Christ’s forgiveness and to acclaim God’s great gift of salvation. Scripture informs every aspect of the service. Lay people of all ages participate. In all we do, we seek to kindle awe at the greatness of God and deep joy because of his love shown to us in Jesus. Because we value God’s Word, the sermon is a central part of our shared worship, and Scripture is central to the sermon. Most sermons are expository (drawn from a specific Bible passage). Previous sermons are available here. We celebrate the Scots’ Form of Communion on first Sundays of the month. On these Sundays children remain in the service with their families so that the whole body of Christ is present to share in the Lord’s Supper together. We use every good gift to help us lift high the name of Jesus, and we strive to keep our focus on Christ by distinguishing worship from entertainment. Click here for more information about how visual arts enhance our worship by symbolizing truths or clarifying themes related to a service or season of the Church calendar and how our blended worship with organ, choir, orchestra, or worship band seeks to offer praise to God. We value children as an integral part of our worshipping community. 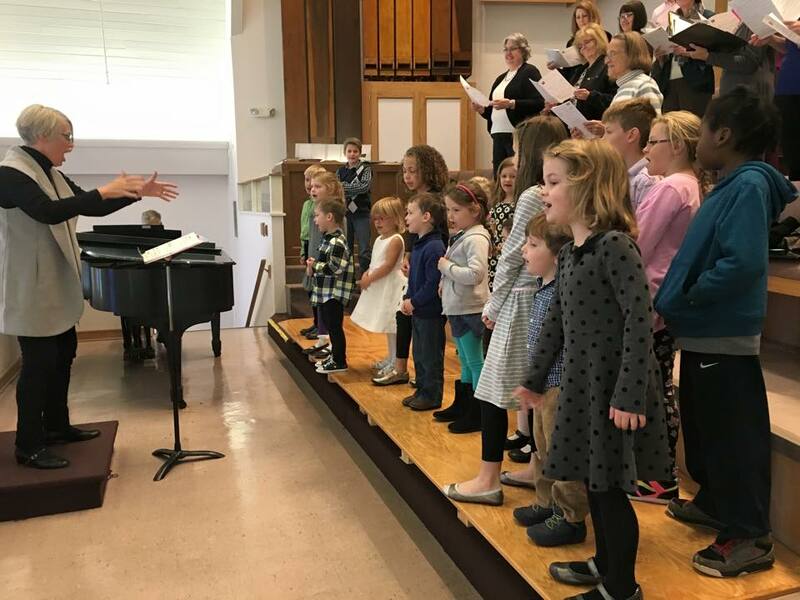 On Sunday mornings younger children are involved for the early part of the worship service before heading downstairs for Children and Worship. Their time of worship leads seamlessly into the Sunday School hour (11:00-noon) For detailed information, click here. Our teens are known and loved at Immanuel. On Sundays, middle schoolers and high schoolers have separate Sunday school classes in the morning, and they meet together for Youth Group on Sunday evenings, from 6:00 - 8:00 p.m. For more information about Immanuel’s ministry to youth, click here. Adults of all ages participate in inter-generational adult elective classes during the education hour on Sunday mornings (11:10-noon). Click here for more info about adult classes and other opportunities for formative Christian education for adults. This busy ministry opens its doors Sunday afternoons from 1:00-3:30, as well as having open hours on Tuesdays and Thursdays. For details about this food ministry, click here. Our Spanish-speaking brothers and sisters of a Christian Missionary Alliance fellowship meet at 2 p.m. in the sanctuary at Immanuel. If you’re looking for energetic, Christ-centered worship in Spanish, come and visit.